We are a five-person team concerned about the ways our communities’ digital information is collected, stored, and shared by government and corporations. 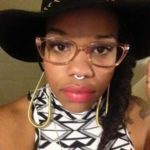 Tamika Lewis: A Black Queer mother and community organizer focused on advancing Queer People of Color and marginalized communities towards liberation through the dismantling of capitalism and all its forms of currency. 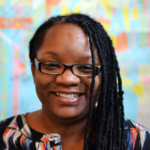 Tawana Petty: A mother, anti-racist social justice organizer, author, and poet, born and raised in Detroit, Michigan. 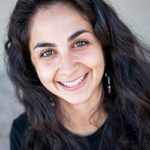 Mariella Saba: A Palestinian and Mexican queer mother born and raised in Los Angeles, where she dedicates her life to community organizing, popular education, cultural work, and healing arts to collectively and creatively contribute to all life’s interconnected liberation. 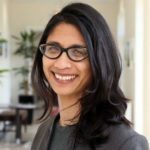 Seeta Peña Gangadharan: A Filipino-Indian mother and research justice organizer, born in New Jersey and teaching in London. 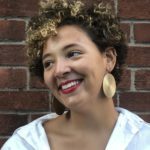 Kim M. Reynolds: A master’s student, freelance writer, community and arts organizer, and music lover sitting at the intersection of art, politics, community, and justice. 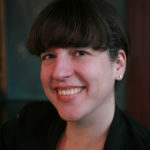 Virginia Eubanks: A writer, teacher, welfare rights organizer, and co-founding ODB member from Troy, New York. Center for Community Transitions, Inc. (Charlotte): CCT is primarily focused on helping individuals with criminal records and their families navigate paths towards healthy and productive lives. Detroit Community Technology Project: A sponsored project of Allied Media Projects, DCTP uses and develops technology rooted in community needs to strengthen human connections to each other and the planet. Stop LAPD Spying Coalition: A sponsored project of the Los Angeles Community Action Network, SLSC is dedicated to dismantling government-sanctioned spying and intelligence gathering, in all its forms. New America (primary grant recipient) is a think tank committed to renewing American politics, prosperity, and purpose in the Digital Age. London School of Economics and Political Science is one of the foremost social science universities in the world. And Also Too is a collaborative design studio for social justice visionaries. Libérate! es una cooperativa de trabajadores intérpretes y traductores de justicia libertadora del lenguaje y de sanación. This work is made possible in part by a grant from Digital Trust Foundation. DTF was set up by Facebook after Facebook lost a class action lawsuit. DTF funds projects that promote online privacy, safety, and security. We are also thankful for support from the Department of Media and Communications at the London School of Economics and Political Science, the Institute of International Education, the Media Democracy Fund, and the Mozilla Foundation.